Meta travel search engine Kayak just rolled out a helpful new tool that helps you compare car rental models based not just on the rental price but the estimated amount you’ll have pay for gas. 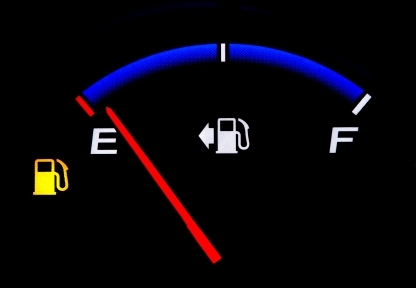 After entering in the usual search perimeters and generating an initial list of car rental possibilities on Kayak, you can click on the “fuel cost calculator” on the upper left and enter in how many miles you plan to drive on average each day and whether that driving will be primarily city, highway, or both. The tool then recalculates the daily price of each car rental to include the estimated daily cost of gas. This estimate also takes into account the average miles per gallon each car rental model gets. A separate search function on the left allows you to eliminate car models that get below a certain mile-per-gallon rate. In playing around with the tool, it definitely seems useful in giving you a more realistic idea of the total cost of renting a car. However, the seems to site use the same average price per gallon of gas for all searches, no matter the location, which at the time I compared rates was $3.89 per gallon—the national average. Of course, prices can be a lot higher than in certain place like major West Coast cities and lower in places like Texas. The tool would be better if Kayak were able to use location-specific gas prices in its calculations, but still, it’s better than what most other car rental sites offer.